Using our site you can find many pre-made budget packages, as our agency specializes in cheap solutions for personal travel. If you feel these are not enough, the guide below will instruct you on how to build your own affordable package, including the best deals on flights. A vacation in the Philippines won’t necessarily break the bank, and can even be reasonably cheap. Read on for a free guide and the best tips to help you save money when traveling in the Philippines. Even if you’re not looking for the cheapest holiday possible, these helpful tips will help you avoid unnecessary expenses. Throughout our website you will find many of our pre-made packages. All of these can vary in cost, according to the specific accommodation and activities you choose. We offer a lot of flexibility when choosing a package, so you can make many changes in our pre-made packages, altering the price. You can also create your own packages from scratch, adding items to your wishlist and singlehandedly determine the price of your package. The selected packages in the table above are suited to budget travelers as the locations featured are reasonably priced, accommodation is basic, and attractions and tours aren’t the most expensive ones offered. You can also ask us to book only flights and accommodation for you, and leave the rest of the activities to you, thus creating a “light package”. In such way you could fill your days independently, having an even more direct control over your expenses. How to choose your destinations? While going through the website you’ll notice we offer our services in many destinations. Some are very popular, while some you probably never heard of. 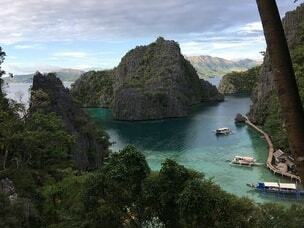 Destinations such as Boracay or Palawan are famous worldwide, but there are plenty of places, breathtaking and mesmerizing, that haven’t been commercialized yet. We make a great effort to bring tourists to both, as all of these island are perfect. When you stay in the city your’e more likely to spend more, as it’s more expensive there. Most people don’t have a choice but to spend at least some time in Manila, though many try to make their stay as short as possible in order to cut costs. 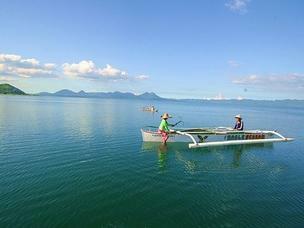 If you want to stay in Manila and explore its wonders, there is a way to do it on a low budget. Booking a budget hostel in Manila is difficult since there are so many tourist traps. It’s better to be safe book ahead one of our strictly reviewed budget hotels. Many time people think that traveling to the most popular destinations is going to be too expensive. It is true that if you are traveling on a budget these destinations will be the more expensive part of your trip, but it doesn’t mean it’s going to be so bad. In all of the popular destinations we work in we offer a few very cheap hotels. Keep in mind that when you choose to stay in the most affordable resorts you will get great value for your money, but don’t expect a beachfront location. In the most touristy places demand is very high, raising the prices immensely. Being a beachfront resort, having a swimming pool, an in-house restaurant and bar, Jacuzzi, and so on is more appealing to most tourists and therefore they are willing to pay more. If you see your resorts as just a place to sleep in, read our professional reviews for budget hotels, and rest assured your’e in safe hands. There is no need for you to worry too much about it as places like Boracay, El Nido, Bohol and such offer so many activities and sights that you shouldn’t spend so much time in your resorts anyway. When making your perfect affordable trip, it is important to look into destinations that are a little off the radar. Luckily we offer many options in our destination which are exactly that. There are many upsides to visiting such places, but one of the biggest is that it saves a lot of money. Most of the times these places tend to be cheaper, as the locals still charge local prices, and even businesses designated to tourists keep their prices lower. When visiting there you will get better deals on accommodation as well. While you couldn’t afford to stay in a beachfront resort in Boracay, you can compensate yourself in Camuigin or Siargao. You could also stay in budget hotels in destinations like that, saving a lot of money, as the price difference can be huge (around 100%), thus allowing you to have a relatively cheap vacation. Many of the tours we offer are not expensive at all. If you want to fill your days with day trips, realize it’s going to cost money. By choosing the cheaper tours you can keep your expenses relatively low. For saving more ask us to arrange a group tour when suitable. Some tours and activities have a fixed price and therefore can’t be discounted, so take it under consideration when planning your trip. When booking a package you can also ask for a “light package”, that includes only airfare and accommodation. You can ask us for advice on how to choose your tours when there, but it’s not guaranteed to save you money eventually. Other than that we can supply you with lots of useful information about the places you’ll visit, also available for free on our website. Even the cheapest hotels we present in our catalogs were chosen carefully to guarantee the best value for money. It is true you can find cheaper hotels and resorts in most destinations, but our intention is to provide the best value we can for people who choose to travel on a tighter budget. By choosing our hotels we ensure you will have a great experience regardless of the low prices. We work with a large selection of hotels, and not only budget ones. If your intention by affordable hotels, is staying in high end hotels for the fraction of the price you’d pay in most destinations in the world, the Philippines is the place for you. It is here that you can have an all-inclusive vacation for low price. How expensive is the Philippines? 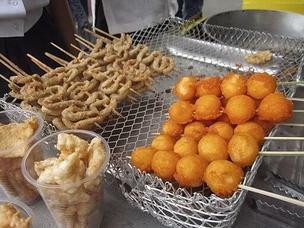 The living cost in the Philippines is relatively low, where a meal in an inexpensive restaurant can cost you between 2$ to 3$, and a beer can cost you 1$. It does not meant that the Philippines is just a poor country, as there are many luxury resorts and fancy restaurants. Those are also cheaper compared to other countries, making the Philippines a choice for many tourist every year for their honeymoon or all-inclusive vacations. If you think of the Philippines as your next cheap summer getaway, you are right to do so. Our packages have many price ranges, as we aim to be accessible to a wide range of people. Therefore our travel agency also offers affordable packages side by side to all-inclusive ones. We will mail you tomorrow morning (Monday) – I’m sure we can help build the right package for you. Looking to travel first time to phillipines (2) adults flying from YVR. Staying up to 2 months would like to visit as many places as possible renting homes -apts-or hotels based on availability. If you are interested in our service please contact us, we would love to help you out.